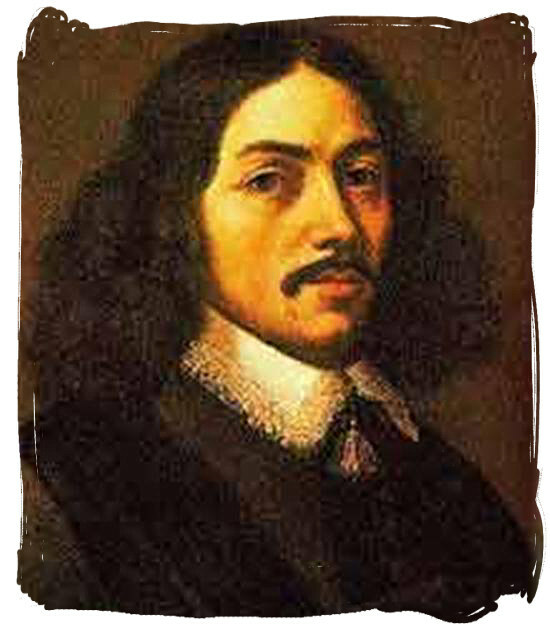 The history of the Cape Colony started on April 1652, when Jan van Riebeeck arrived in Table Bay with his three ships, De Reiger, De Drommedaris and De Goede Hoop. His mission was to establish a supply station on behalf of the Dutch East India Company ( V.O.C.) where fresh produce could be cultivated to supply the ships passing through. Proper food and medical care were needed to combat the great loss of men on their trade expeditions to the East. At this time approximately half of all ships' crews died, mainly from a disease known as scurvy. Scurvy was caused because the crews only consumed food preserved in salt and that over a prolonged period of time, resulting in a lack of Vitamin C.
Originally, the V.O.C. 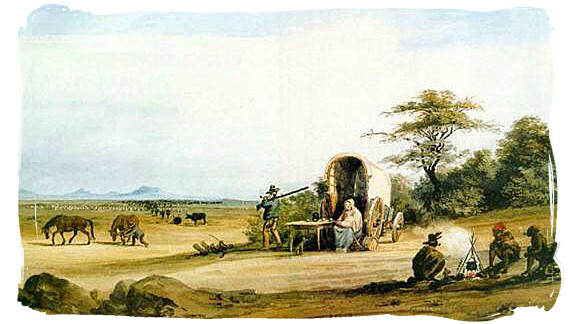 did not intend to establish a full-fledged colony at the Cape, but it committed itself when it gave nine Company servants their freedom in 1657 to establish private farms in the Rondebosch area below the eastern slopes of Table Mountain. This was done in an attempt to combat a wheat shortage at the time. 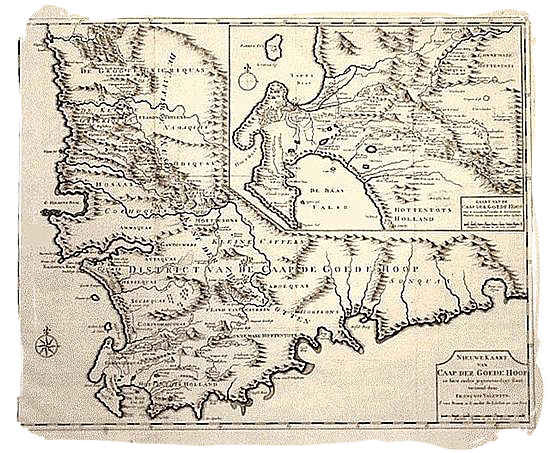 In 1689, some 180 Huguenot refugees were brought to the Cape after Louis XIV had banned Calvinism in France. 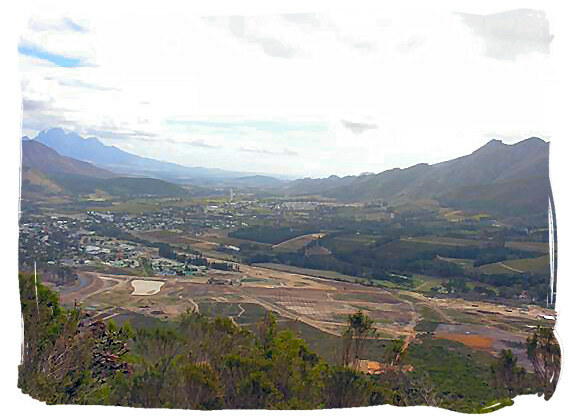 They settled mainly in the Stellenbosch district near what is today known as Franschhoek. People from Germany, Scandinavia, Flanders and Switzerland also contributed to the diverse population of the Cape. During the early years of Dutch occupation, the focus was primarily on agriculture. With the growth of the population, more and more people started cultivating agricultural products, which, before long, resulted in a surplus of products such as wine, wheat and vegetables. This overproduction of agricultural products forced the free citizens to explore other avenues, such as stock farming. Soon the stock farmers began to move deeper into the interior in their search for more and better grazing. Young men married and set up their own farms and the resultant large families caused the number of stock farmers to increase rapidly. The lack of sufficient space for proper stock farming prompted the farmers to pack their possessions into their ox wagons and move deeper into the interior. This kind of farmer was alled a "Trek boer". The word means, "migrant farmer". 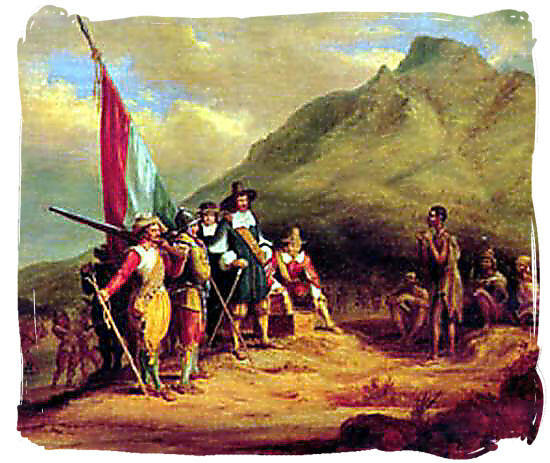 Until 1750,there was nothing to prevent the "Trek boers" from advancing rapidly into the interior. There was plenty of water in the interior and they employed Khoi people to tend to the cattle. 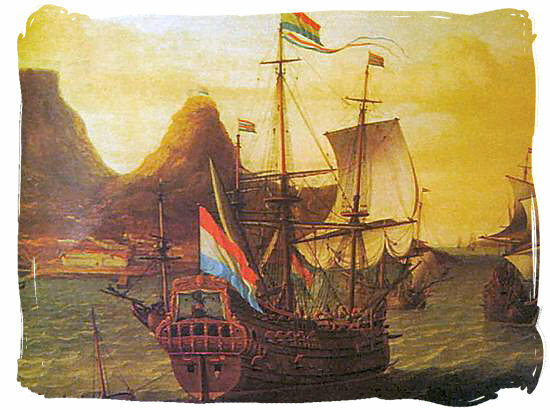 However, the Dutch East India Company became worried about the "Trek boers" moving so far because it became increasingly difficult to exercise any authority over them. In order to maintain its authority, the V.O.C. was forced to follow in their tracks. This constant moving also resulted in the V.O.C. having to continually change the boundaries of the eastern frontier of the colony. Eventually, in 1778, the Great Fish River became the eastern frontier. It was also here that the "Trek boers" first experienced problems with the Xhosa. Until that time, the "Trek boers" had only experienced serious clashes with the San people when the San attacked them with poisoned arrows and hunted their cattle. The "Trek boers" frequently organised hunting parties in reprisal for the San attacks. When the frontier farmers, as they were now called, met up with the Xhosa, serious clashes followed. Each group felt that the other was intruding on their livelihood and wanted to protect its territory at all costs. The V.O.C. established new districts such as Swellendam and Graaff- Reinet in order to maintain authority over the frontier and to quell the ongoing violence, but to no avail. The frontier farmers kept on moving across the border and the Xhosa refused to let go of their heritage that easily. A number of frontier wars followed and both groups learnt to live with regular occurrences of theft, arson and murder.